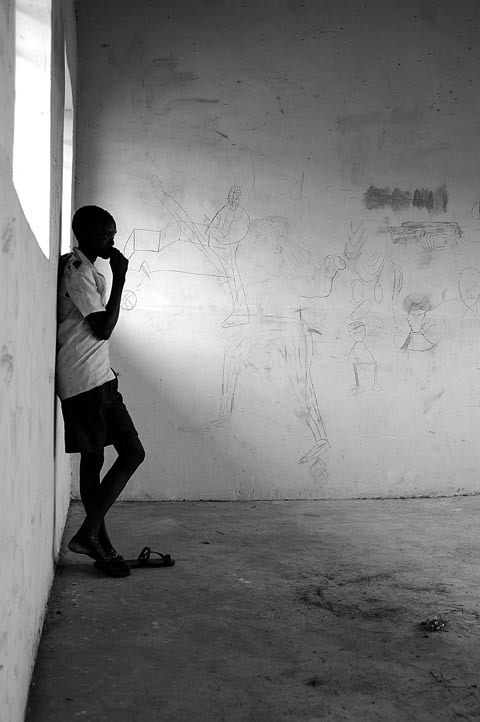 14 year old Jakob Odigo stands in his deserted classroom. Jakob enjoys playing football but unlike normal teenagers he lives in the fear of being abducted or killed. Jakob has seen his friends, both girls and boys being abducted. "When I see a man in uniform, I think will he be friendly and let me pass, or will he finish me off? Shall I run? I have to think fast, I am very scared. My parents have warned me to be alert all the time. If I sit under a tree alone, I can't relax, I feel afraid."